t first glance it doesn’t look like a barbecue joint. They have pristine white tablecloths and the wait staff have immaculate uniforms, including a jazzy yellow jacket for the head waiter. It’s also right in tourist-central and the end of Avenida da Liberdade just a stone’s throw from the Hard Rock Cafe. Then you look a little closer and see the rows of chickens gently rotating on spits above a bed of coals, and realise the place is literally called “The Barbecue” and decide that you have in fact found a place for dinner. 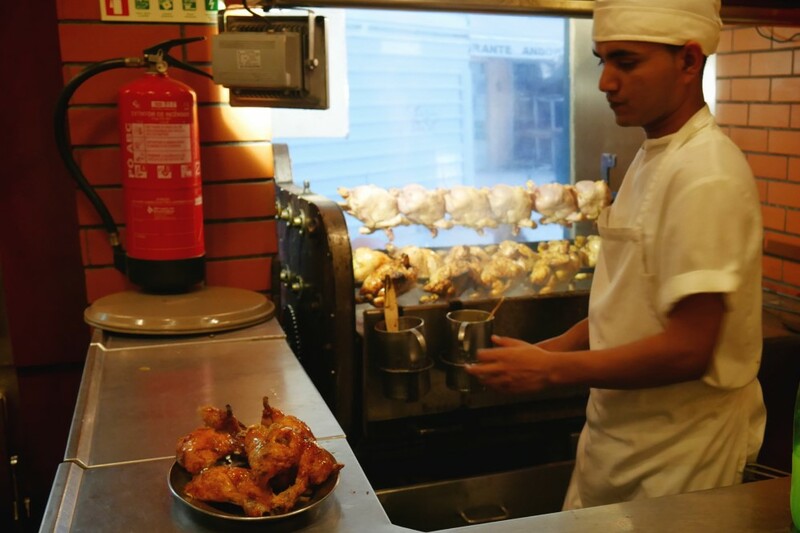 Given that you can sit and watch the chickens gently roasting, and the Portugal is the home of the cheeky piri piri chicken it didn’t take too long to decide what to order, along with sides of creamed spinach and fries. The first thing that arrives is a small pot of the homemade piri piri sauce, which is apparently the work of the chap in the yellow jacket. Testing a splash on a piece of bread reveals a decent kick which can be applied via the small brush to amp up the chicken as much as is desired. When it arrives, it’s clear that the chicken doesn’t rely on the sauce. The burning coals and marinade have done the groundwork and produced a succulent, crispy tasty piece of meat but, sure, if it’s traditional! 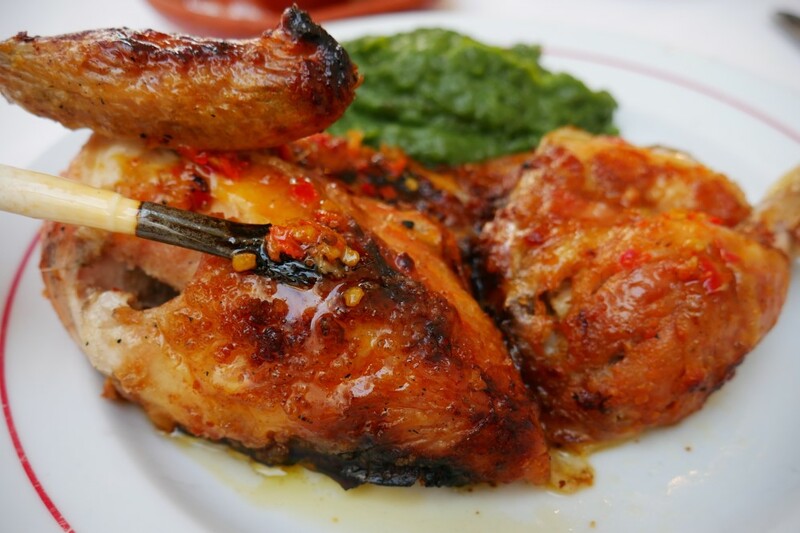 The creamed spinach is not your obvious barbecue side dish but works well to balance the spicy, salty chicken and allows you to load up on chili sauce. To finish up was the house desert which was approximately a crème brûlée and is therefore acceptable to this website because it involves the use of fire, via a blow torch.